While Disney theme parks are the “utopia” of all theme parks, they were not the first to come on scene. In fact, the very first theme park has its origin in the 1500’s. 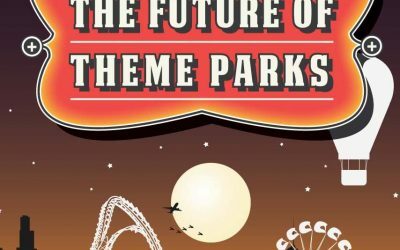 The following infographic reveals some very interesting historical facts about theme parks and even looks into what the future holds for theme parks. While I’m not a huge fan of Halloween, I love haunted houses. The Haunted Mansion at Disneyland is my all-time favorite haunted house of course, however the Halloween season brings us some of the scariest places even imagined. Hauntworld.com has put together their list of the top 13 haunted houses in America. In addition to the list, we thought we’d include video footage from each of these scary places. So sit back, and get ready to be frightened! With Mother’s Day just around the corner, we thought it would be interesting to take a look at how motherhood (as well as having babies) has changed over the past 100 years. There are quite a few differences and yet the role of mothers is just as important as ever. I love some of the things that go along with Halloween – scary movies and Halloween candy to name a couple. But my all time favorite thing about this eerie holiday – haunted houses. 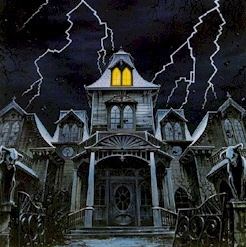 And while Disney does the best haunted house as an attraction suitable for both children and adults, there are many haunted houses that pop up around this time of the year that are not for the faint of heart. Read on to discover thirteen haunted houses you will not want to miss. Knotts Berry Farm, also known as “Knotts Scary Farm” around Halloween, will unveil three new haunted mazes during their 38th annual Halloween Haunt. The goulish festivities will take place on Wednesday through Sunday nights from Sept. 24 through Oct. 31 (except for Sept. 29). More details inside! Knott’s Berry Farm, famous for the Halloween Haunts held every September/October where the park literally becomes haunted, will unveil four new mazes for their 2009 season. The granddaddy of Halloween events will feature 13 mazes in all scattered throughout the park, with construction currently underway in backstage areas. After learning that Hard Rock Park, the rock n’ roll themed amusement park named after the popular restaurant chain, would close it doors forever, it seems as if the park has found a buyer. A bankruptcy judge on Tuesday approved the sale of the park for $25 million to FPI MB Entertainment. They plan to reopen the park by Memorial Day. Although not really “Disney” news any longer, I thought I post the announcement here that Twentieth Century Fox has agreed to co-finance the third movie in the “Chronicles of Narnia” series. Just before Christmas, Disney had decided to no longer partner with Walden Media in the making of the next film in the series – “Voyage of the Dawn Treader,” as well as any future films. Failing to find a buyer in a recent quest to find a buyer to take over the failing Hard Rock theme park, owners asked a Delaware bankruptcy court Friday for permission to liquidate, signaling once and for all that it will not be able to reopen. The park, which said it was worth $400 million when it opened in April, was unable to attract any bidders willing to pay at least $35 million for the park at a December 15 auction, according to court documents. 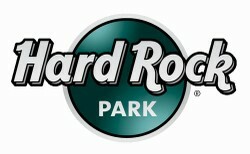 This after Hard Rock Park had closed and filed for bankruptcy protection in September. Disney-O-Rama is a compilation of Disney news, historical facts, insider tips and more. While we will mostly focus on Disney’s theme parks — Disneyland Resort and Walt Disney World in particular, you will also find us covering other Disney topics as well. Receive email updates each time we publish new content. Disney-O-Rama is not affiliated with The Walt Disney Company, Disney Enterprises, Inc., its subsidiaries, or its affiliates in any way. Some images are © The Walt Disney Company. Disney-O-Rama provides independent news articles, commentary, editorials, reviews, and guides about Disney parks, resorts, attractions, events, products, entertainment, & company information. No portion of this site may be copied reproduced without permission.